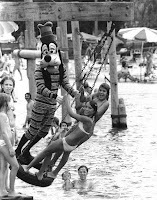 River Country has long been a fond memory and fertile story ground for us here at the Gazette. Considering that Walt Disney World’s original water park is still visible from motor launches to and from Fort Wilderness and that some of the facilities were repurposed for Mickey’s Backyard BBQ, makes it a continued source of discussion amongst the Vacation Kingdom’s enthusiasts. Some of the manmade pools have, after many years of non-use, now been filled in, but a majority of the park still remains in ill-repair, but with potential. 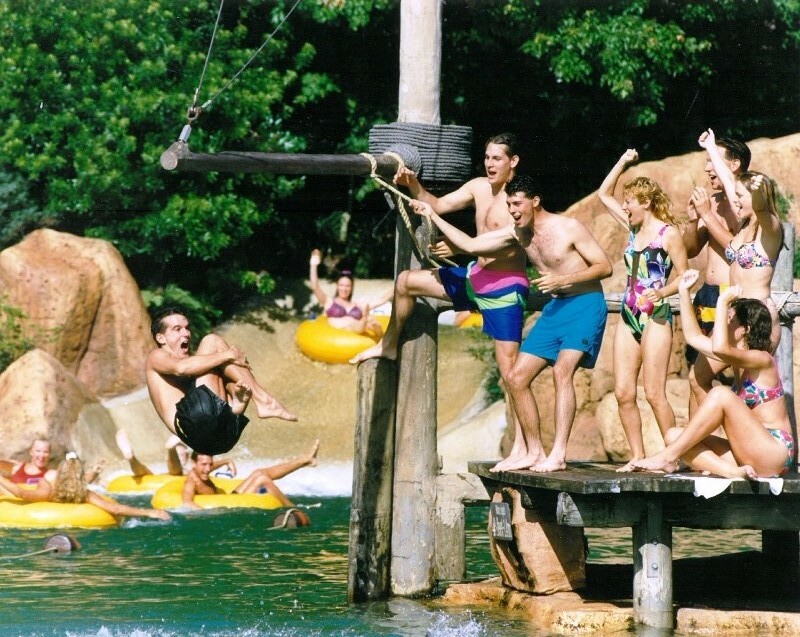 Today, let’s do a little dreaming about what we’d like to see River Country refurbished as. Let’s address the obvious right off the bat, Disney has no inclination, nor will they ever, to reopen River Country as a water park. It does not enjoy the same blessing of size that its younger siblings, Typhoon Lagoon and Blizzard Beach, have utilized to their advantage. The size of River Country, while part of its charm, also keeps it from being able to add quantity to attraction collection, especially thrill type attractions that would take up a great deal of space. There is also something to be spoken to around allowing guests into the waters of Bay Lake. Guests have been unable to enter the freshwater areas of all resorts for a long time, and recent upgrades have made the barriers between guests and water permanent. It goes without saying that something would have to be done to section off River Country from the remainder of Bay Lake, filling the water park with water you would find in a pool or other water activity. While not impossible by any stretch of the imagination, this would take considerable time and capital to see any project reach fruition. Now that we’ve disposed of the formalities of what won’t be happening and what it would take to make a dream a reality, let’s get on to those dreams. There has been a lot of attention paid to the Wilderness Lodge and its Disney Vacation Club property in the past year, and I’d like to see River Country’s redevelopment built off of this premise and with the same care and attention. For that matter, I’d love for this storyline to bleed over into Fort Wilderness as well, but that is a story for another day. The concept of Copper Creek and Boulder Ridge builds upon Disney’s long tradition of railroads and mining, which would fit nicely in with a repurposed River Country. The boulders are there for the boundary of a quarry, and we’ve all seen those pits filled in with water around the country, tempting local children and teens to explore them. While River Country’s proximity to the Wilderness Lodge doesn’t match how the water park butts up against the Settlement area of Fort Wilderness, it is still close enough that a walk or bike ride down to the old swimming hole isn’t feasible for most guests. In the end, what I would love to see is the return to the old swimming’ hole concept, but I’m not so Blue Sky in my thinking that I believe this should be a full blown water park once more. Give it a couple of slippery rock slides, a la western North Carolina’s Sliding Rock, but make those the highest thrill the area is going to offer. Remove the idea of any attraction that would require a tube. Add in a beach or riverbank for guests to sit out in the sun on, and reopen the boardwalk through the cypress trees. Reinstall challenge obstacles like the boom swing, tire swing, and zip line, giving children a place to take some chances, to face their fears, but also to be safe and have a minor adventure. Seeing as how River Country is not exactly close to anything that can provide items of sustenance, open up a snack stand, however, keep it basic with picnic items such as cold fried chicken, chips, sandwiches, and potato salad. Here is where I’m probably going to lose some of my supporters. Only open River Country up to guests of the Wilderness Lodge and Fort Wilderness. Like Stormalong Bay and other premium pool areas around Walt Disney World, access to River Country should be a perk of the Wilderness resorts, and not open to every guest from every resort. While it is sure to be crowded, particularly during the long summer months, the fact that it is off the beaten path will make it less of a draw for many guests, who would rather opt for a full water park or the ease of access to their own resort pool. Although I could see attendance decrease at the pool areas of both Wilderness resorts. I am not holding my breath for an announcement about what new life is going to be infused into River Country, it is simply not a priority for many individuals inside Disney. I can respect and understand that. I also understand that my own nostalgia for the original water park gives me tinted lenses through which I look at the property and what it could be. That said, I think there is some form of days-gone-by charm that is still left in the park and that could find life once again. When and if and what that would look like are all questions to be answered in the future, but it is fun to still have the ability to dream about the tomorrows of River Country.